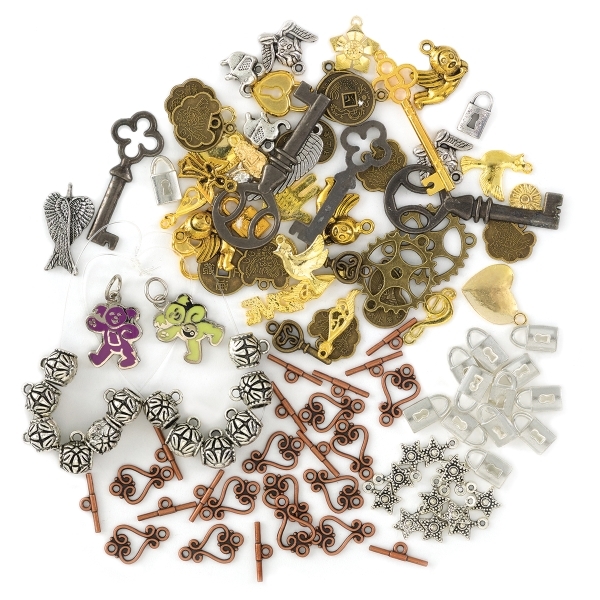 This Jewelry Charm Assortment includes an eclectic and fun variety of shapes, designs, and metallic finishes. The package contains 100 charms. Sizes vary but most are between 1/2" and 1-1/2".